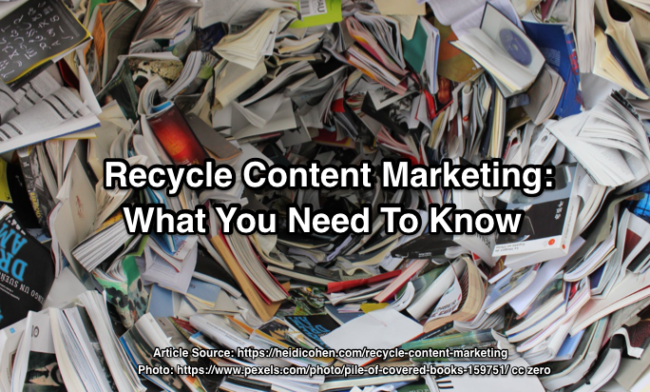 Do you recycle content marketing as part of your on-going content marketing strategy and processes? Here are 100+ ways to reuse, repurpose and repromote your existing content marketing to improve content lifetime value and effectiveness. Includes examples. 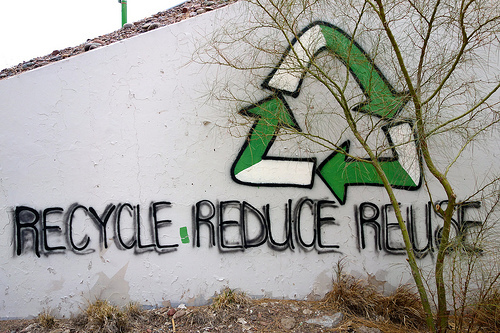 Just as we celebrate Earth Day by setting up processes to preserve our natural resources – recycling and reusing products like paper, glass and plastic – content marketers must consider how to conserve their scarce resources, namely content, budget and employee time. Earth Day aims to raise awareness for natural resources, by reusing and recycling products or up-cycling them into something new. In terms of blogging, reusing blog posts translates to re-imagining the content from your blog posts into new forms of content marketing. Here are twenty-seven ways your business blog posts can be reused to increase your content creation’s effectiveness categorized by owned media, social media and third party media. These suggestions can be used for personal, business (both B2B and B2C), not-for-profit and solopreneur blogs.